Spring is here at Langara, and with that we are up and running at the Clubhouse. The fish and weather are cooperating, so we are on our way to a big season here at the Club. 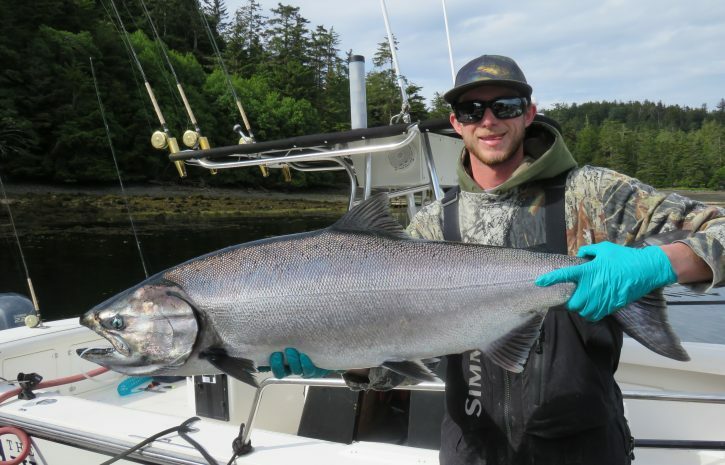 All your favourite guides have returned, and all boats have had a decent start pursuing the chinook salmon as the target species. Our first full day has just concluded with our top fish measured and released working out at 29 lbs. 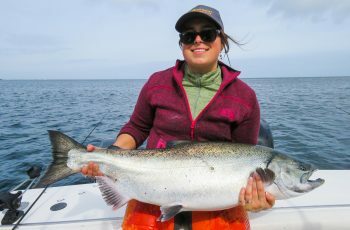 All areas are holding fish with those that can fish out west catching chinook averaging close or at twenty lbs, with most boats grabbing a fish or two closer to twenty five lbs. 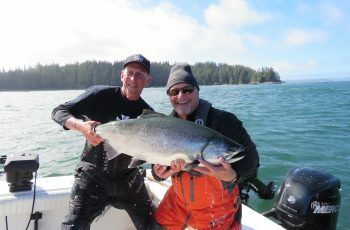 I fished Lacy in the am and did not see much, so moved around to the east side and grabbed chinook in the high teens. 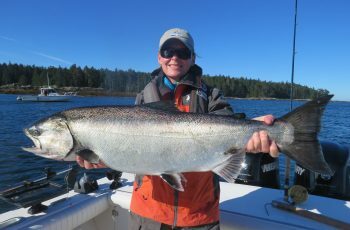 We also grabbed a big chum at 15 lbs, some guides very envious of this fish. We then whipped down to Boulder and found some small chinooks before lunch. 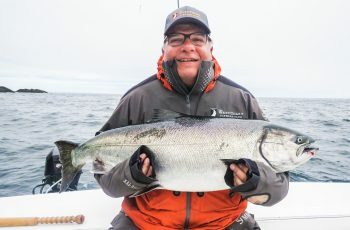 Those that stuck it out at lacy were rewarded with a late bite, with about a dozen low twenties taken, many released. After our lunch break Mike Kelly and myself hit Lacy in a bit of a sloppy southwest slop and had a nice afternoon, releasing several low twenties, and retaining a couple nice springs. The fish showed in small waves, trolling for an hour with nothing, then slam bang two or three together. We found them deep and on the cable, for the most part. Upon hitting the dock Connelly came rushing down to my boat with eyes the size of sand dollars, barking out stats rom Boulder Bay. Seems Bud and himself ran into a wack of jack kings, doubles and a triple, averaging mid teens. They boxed several, and seemed pretty proud of themselves. The weather has been dry, I have been on the island since early May with only a couple days drizzle. Not much wind either, could it be summer? 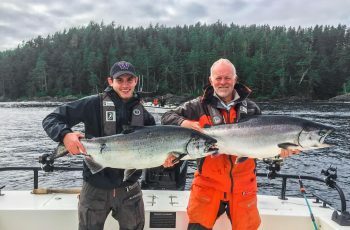 We seem to have a few more fish than last season, me thinks the size is a bit better, the anglers in the dinning room tonight are making huge noise, always a good sign.